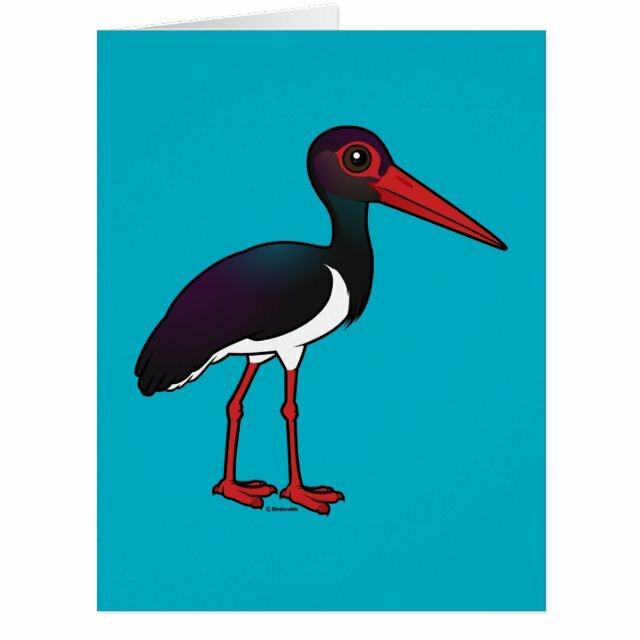 The Black Stork is a species of stork that breeds in central and eastern parts of Europe. Strongly migratory, they winter in parts of Africa and India. This is our totally cute Birdorable Black Stork! You can customize this gift! Move the bird around, change the product color or style, add text or images -- make it your own! If you'd like to see this Birdorable bird on a different product not currently available, please send us a message and we can make the product available in our store. Make keeping in touch a big deal with the BIG greeting card. Made for the biggest occasions and events, all parts of this folded card are customizable – inside and out, front and back. 8.5" more... x 11" (portrait) or 11" x 8.5" (landscape). Printed on heavyweight (120 lb.) card stock with a gloss finish. Each card comes with a white envelope.